Team burnout, lost revenue, missed opportunity, compliance risk, and long-term competitive disadvantage are among the top negative business impacts enterprises experiencing mass data fragmentation report in a new survey. Over 90% of organizations surveyed believe redeploying resources from managing secondary data could increase revenues by 8-10% over 5 years. The Far-Reaching Impacts of Mass Data Fragmentation. Solving this important issue isn’t just about making storage more efficient or reducing copies. It’s about addressing deep-rooted, innovation-stalling business challenges such as non-compliance, competitive exposure, and overworked IT staff. IT teams spend 31% more time managing mass data fragmentation complexity—about 16 additional weeks each year—say survey respondents. 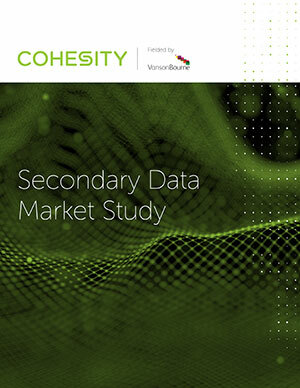 Over 9 in 10 of those surveyed are concerned about the level of visibility they have into their secondary data - a prerequisite for proving compliance. Respondents (92%) believe they could increase revenues by 8-10% or more over 5 years by moving people away from secondary data tasks. Nearly half of respondents believe mass data fragmentation prevents insights into secondary data leading to inferior customer experiences. Over a quarter of respondents say they or their team will likely quit their jobs if they’re expected to manage their secondary data and apps without the proper technology. Almost half of respondents believe failing to address mass data fragmentation will put them at a competitive disadvantage. For most companies, data isn’t the fuel that powers digital transformation – it’s the biggest obstacle because of mass data fragmentation, implying that data is currently scattered all over the place and unstructured, leading to an incomplete view of data. The enterprise adoption of secondary storage technology presents a new set of challenges when it comes to managing data that is spread across multiple locations, both on- and off-premises. Companies need a platform that can overcome data fragmentation, support policy-based governance and provide the visibility needed to unlock value from their long-term data.